The colour trend guru’s at Pantone are predicting that the most popular colour of 2019 will be Living Coral. It’s said to have a playful energy, with warmth and it’s quite a mellow and cheerful hue. It’s certainly a departure from 2018’s regal Ultra Violet. Check out how much fun we had playing with that dramatic and vibrant colour! What are your thoughts? We want to hear! 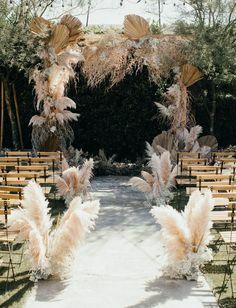 How would you use this colour in your own wedding? 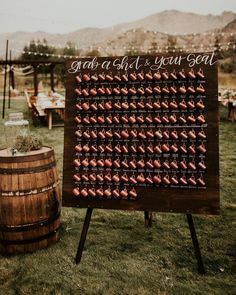 This entry was posted in Themes, Tips, Trends, Wedding Colours, Wedding Inspiration and tagged Colour of the Year, Living Coral, Pantone, Wedding Colours. Collecting gemstones was a hobby of mine as a child, so when Geode Wedding Cakes came on the scene I just knew I had to design a styled shoot around geodes and gemstones. Loads of florals accented everything from the harvest table, to chairs, to candelabras and everything in between. Our hidden gem of a venue! This little old church had been built as a movie set, but had become run-down and in need of a lot of love when Faith and her hubby purchased it. They put a lot of work into refinishing it, and adding extra windows to let in more sunlight. For the perfect finishing touch, a blinged out chandelier, and The Acreage Weddings church was finally ready for it’s debut as a gorgeous, unique wedding venue. The stationery suite was modeled after gem stones, featuring Agate slice place cards with hand lettered calligraphy. Birch & Bunny Weddings is dedicated to providing a seamless journey down the aisle, and desiging events that are truly a reflection of the two of you. Your vision will be executed down to the last detail, and I am honored to be a part of it. 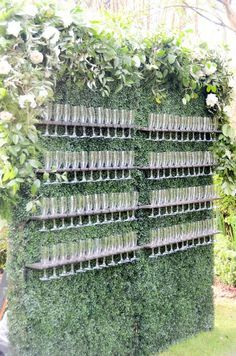 This entry was posted in Styled Inspiration Photo Shoot, Wedding Colours, Wedding Inspiration and tagged Calgary Wedding Venue, Wedding Colours, Wedding Inspiration, Wedding Planner, YYC Wedding Planner. I set out to inspire Birch & Bunny brides and grooms who are dreaming up their own wedding themes. I wanted this inspiration shoot to be rich and elegant, but to marry that sophistication with the natural beauty of the outdoors, hence a woodland glam theme. To accomplish this, I choose a colour pallet of deep Marsala, bold berry hues, and accents of gold and bling. When Grace Kerr of Photographs by Grace came on board, I was thrilled by her enthusiasm for the concept! We had such a mild winter, but it was so windy that day (a severe wind warning was issued) that we almost blew away! Beautiful flower garland, bouquet and floral crown were created by Occasional Bloom, using rich deep colours and lush florals juxtaposed with curly willow branches for texture. Cake artist Handmade Cake Company crafted a semi-naked red velvet cake using all natural and preservative free ingredients. It was garnished with persimmons, fresh berries, pomegranate seeds, as well as a sumptuous pavlova, and raspberry cream filled meringues. Local fashion designer Laura George provided a swoon-worthy gown. This darling with lovely flowing lace, is called the Rosealie and is from her Renaissance collection. Our model’s hair and makeup were done by MaddPretty Makeover Studio, and a fur stole from Calgary Bridal Capes kept her warm. Alyssa of Plush Invitations designed and then dip dyed the stationery in water colours of luscious berry hues. A huge, heartfelt thank you to all of the vendors who contributed to make this photo shoot amazing! 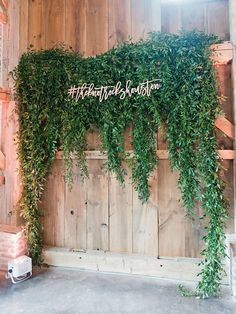 This entry was posted in Styled Inspiration Photo Shoot, Wedding Colours, Wedding Inspiration and tagged Gold, Inspiration Photo Shoot, Marsala, Pantone, Red Carpet, Wedding Colours, Wedding Inspiration, Winter Wedding, Woodland Glam. Rose Quartz + Serenity, Love it or Leave it? Every year, fashion designers and event planners alike eagerly await a certain exciting announcement. The trend predictors at Pantone announce their predictions for the Top 10 Colours of the year as well as naming a single much anticipated colour of the year. It is really a self-fulfilling prophesy though, because industry professionals accept this prediction as a fun challenge, and come up with new and exciting ways to showcase this colour. Hence the trend prediction often becomes a trend setter. For the first time ever, Pantone’s colour of the year trend prediction is actually a combination of two colours; Rose Quartz + Serenity. A move that they say “Challenges traditional perceptions of colour association” transcends cultural and gender norms and is calming, all about balance. The others listed in Pantone’s Top 10 Colours of 2016 are Iced Coffee, Fiesta, Green Flash, Limpet Shell, Snorkel Blue, Buttercup, Peach Echo and (my fave of the bunch) Lilac Grey. What do you think about the Rose Quartz and Serenity pairing; Love it? Or leave it? I decided to create a Pinterest board dedicated to the tranquil colour duo. Do you plan to incorporate Rose Quartz + Serenity into your 2016 or 2017 wedding theme? We would love to see how! This entry was posted in Wedding Colours, Wedding Inspiration and tagged 2016, Colour of the Year, Pantone, Rose Quartz, Serenity, Trends, Trendsetting, Wedding Colours, Wedding Inspiration.